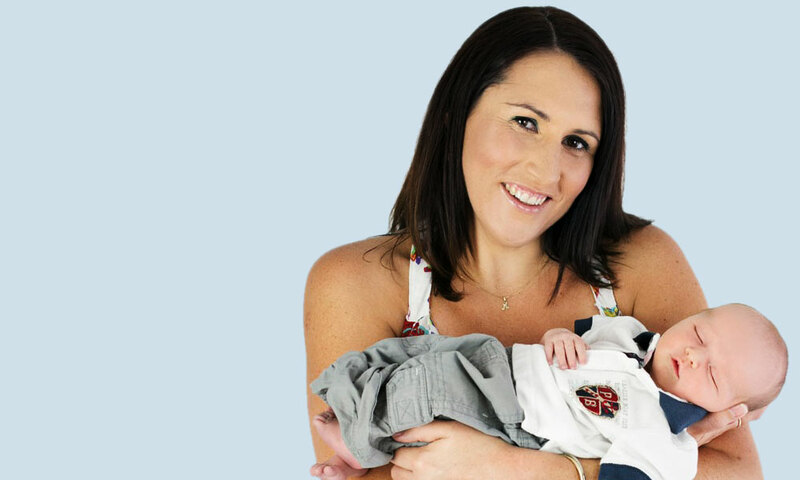 Congratulations to R.R's pregnancy in 08/2018! 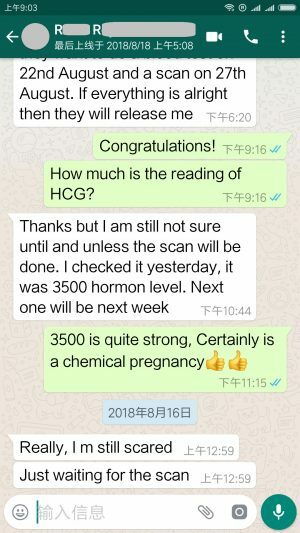 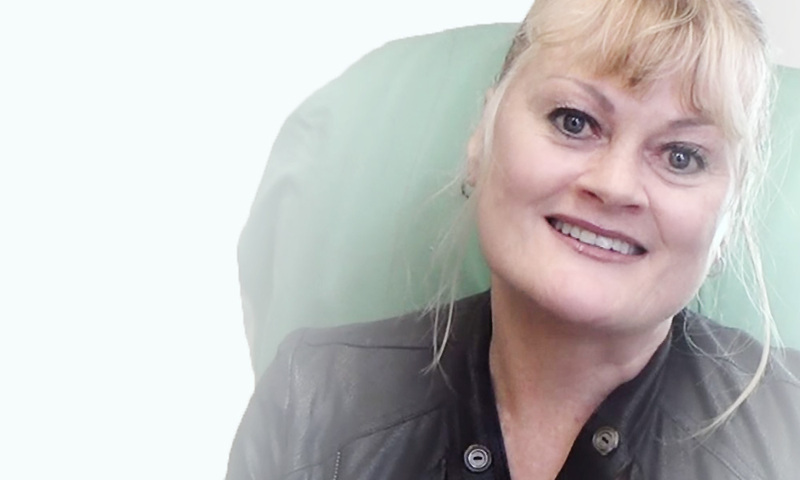 Ms. R.R had a chemical pregnancy in August 2018 by HCG tests! 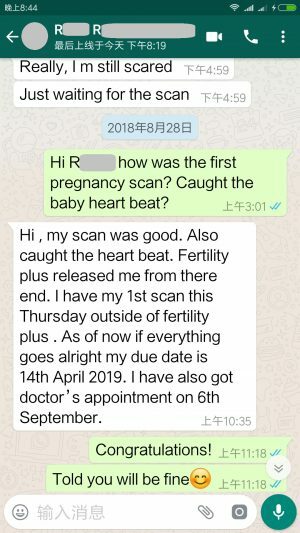 And the baby heart beat was caught by scan to confirm the clinical pregnancy! 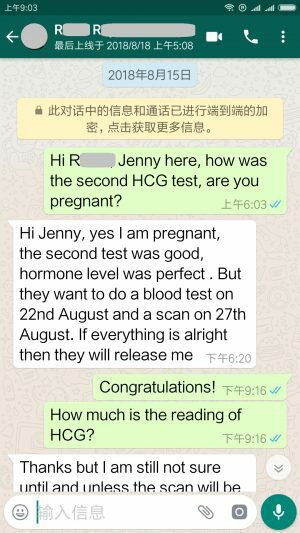 The due date is on 14/04/2019, congratulations to you and family!